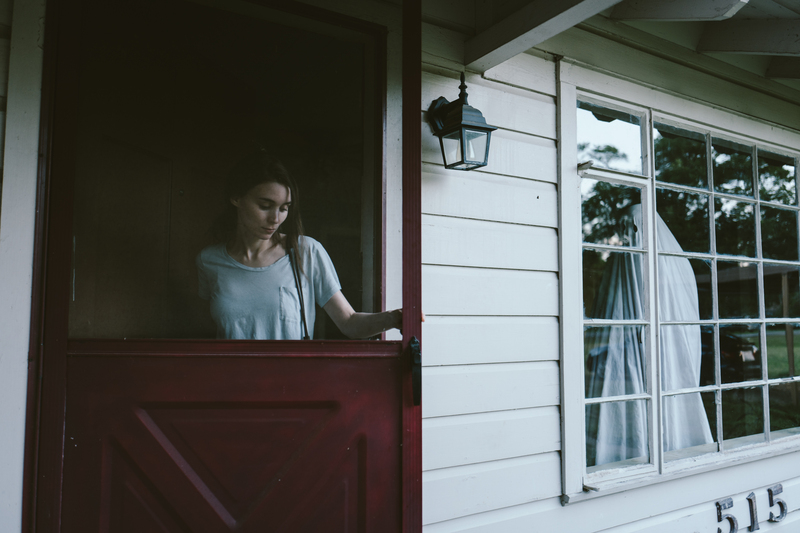 At first look, A Ghost Story is easy to write off because of its oddball concept, but writer-director David Lowery pulls it off and presents a stirring meditation on grief and loss. The film is a bit slow at the start with its long takes, but those sequences lay down the foundation for the potent emotional punches that come later. Lowery proves to be a storytelling master, conveying two perceptions of the passage of time with ease and even handling Spanish-spoken sequences without subtitles. When it comes to its themes, the film does get rather heavy-handed, as one character covers them in one monologue. Putting a sheet over an actor and essentially taking away his means of communicating is a risky endeavor, but Casey Affleck handily imparts helplessness and sorrow with the ghost’s stillness and slow, shuffling movements. Rooney Mara skillfully sustains her character’s emotions over an impressive period of time, in particular a single sequence where she almost eats an entire pie. Cinematographer Andrew Droz Palmero’s images adopt a square format reminiscent of 16mm home movie, lending the film a personal touch. Daniel Hart’s score is haunting and poignant, as is the song “I Get Overwhelmed” by Dark Rooms. This is a remarkable surprise and a great piece of filmmaking. This entry was posted in Movies and tagged A Ghost Story, Andrew Droz Palmero, Casey Affleck, Daniel Hart, Dark Rooms, David Lowery, Rooney Mara on July 31, 2017 by Jun I. Every few years, there comes a film that makes a trip to the theater an event, an experience. These films that I speak of aren’t necessarily the highest grossing movies at the box office, nor are they always the best of their given years. No, these are the films that demand we watch them not just at the theater, but in a certain way at the theater. These are the films that become less when we watch them on a phone, a tablet, a computer, a television, even a standard movie theater screen. Love it or hate it, Avatar is one such film. Gravity is another. In the case of these two films, the theatrical and 3-D experiences unlocked their true potential and elevated them. Enter filmmaker Christopher Nolan, who has sought to provide an unparalleled theatrical experience with his penchant for shooting on film and in the IMAX format. His ambitious World War II picture Dunkirk offers just that; in the IMAX 70mm format, its immersion and intensity are unmatched, though its coldness does hold emotional investment at bay. This entry was posted in Movies and tagged Christopher Nolan, Cillian Murphy, Dunkirk, Fionn Whitehead, Harry Styles, Hoyte van Hoytema, Jack Lowden, Kenneth Branagh, Mark Rylance, Tom Hardy on July 26, 2017 by Jun I. It takes a while for The Big Sick to find its footing, but when it does, this rom-com becomes quite charming and compelling. Written by husband-wife duo Kumail Nanjiani (who also stars) and Emily V. Gordon, the film is loosely based on their real-life romance. Ironically, the love story between Kumail and Emily (played by Zoe Kazan) is probably the least interesting storyline in the film, as the other two storylines – Kumail’s conflict with his traditional Pakistani Muslim family as well as his getting to know Emily’s parents Beth (Holly Hunter) and Terry (Ray Romano) – is where the story draws much of its fun and emotions. However, the film doesn’t really focus on those storylines until approximately 40 minutes in, and up to that point, it’s incredibly bland and is an absolute slog to get through. Once the film shows more interactions between Kumail and his family and also introduces Beth and Terry, it settles into a nice, comfortable pace and sets up emotional punches that land with precision, leading to a great payoffs. The cast playing Kumail’s family is terrific, and the chemistry between Nanjiani, Hunter, and Romano is irresistible. When the film reaches its end, it proves to be an entertaining and thoughtful examination on family and the role culture plays in one’s life. This entry was posted in Movies and tagged Emily V. Gordon, Holly Hunter, Kumail Nanjiani, Ray Romano, The Big Sick, Zoe Kazan on July 20, 2017 by Jun I. Back at the turn of this decade, the thought of rebooting the Planet of the Apes franchise admittedly didn’t seem all that exciting. While it is one of the more well-known movie series in the sci-fi genre, Tim Burton had already tried rebooting it back at the turn of this millennia, with the resulting film being received quite poorly; perhaps audiences decided they had enough of monkey business. Six years, 2 Apes films, and over $1 billion in box office grosses later, that certainly isn’t the case. Rise of the Planet of the Apes and Dawn of the Planet of the Apes are great, but what’s most impressive is the complex and emotional growth between them – call it an evolution, if you may. War of the Planet of the Apes is decidedly not a better picture than its Shakespearean predecessor, but it is an emotionally rich and epic entry that builds upon this rebooted series’ ideas, themes, and characters in an effective and thoughtful manner. This entry was posted in Movies and tagged Amiah Miller, Andy Serkis, Caesar, Karin Konoval, Matt Reeves, Planet of the Apes, Steve Zahn, Terry Notary, War for the Planet of the Apes, Woody Harrelson on July 18, 2017 by Jun I. The summer blockbuster season rolls on, and accompanying it is another edition of the High-Low Report! Receiving an evaluation from the MediaBrewPub doctors today is none other than Spider-Man: Homecoming, the latest installment in the MCU (Marvel Cinematic Universe) as well as the most recent attempt to bring the titular web-slinger to the big screen. Andrew and Jun are back, but they’re not just the low-brow and high-brow respectively today. See, Andrew is MBP’s resident Spider-Man fan, so we can expect a very personal and loving assessment from him, whereas Jun has grimly put on his critic’s cap. A heated exchange between these two should be on the cards tonight, folks. While they will venture into spoiler territory, spoiler tags have been added, so consider this a safe read if you haven’t seen the film. This entry was posted in E-Mail Throwdowns, Movies, The High-Low Report and tagged Jacob Batalon, Laura Harrier, Marisa Tomei, MCU, Michael Keaton, Spider-Man, Spider-Man: Homecoming, Tom Holland, Vulture, Zendaya on July 14, 2017 by Jun I. Creative freedom can be a funny thing. This is a time where it’s becoming more and more conspicuous that box office-mindful producers seem to be the ones calling the shots during a film’s production rather than the directors and screenwriters. This has left the latter group becoming more vocal about their want for creative freedom, and it could partially explain why so many are turning to television. 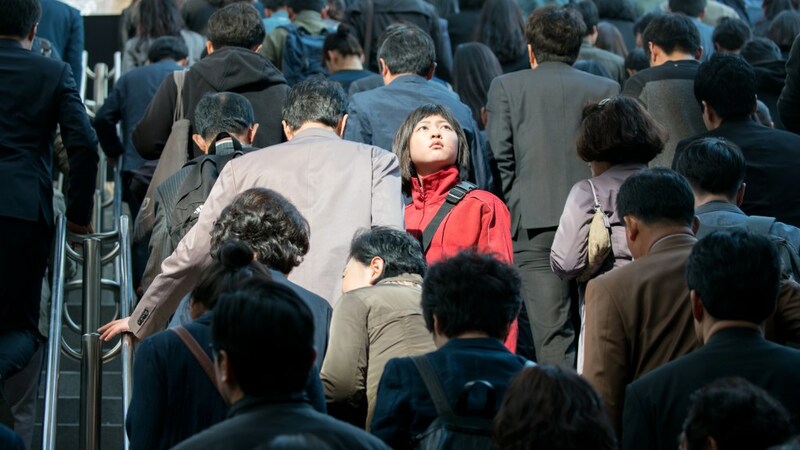 This appears to be the case for South Korean filmmaker Bong Joon-ho (The Host, Snowpiercer), whose latest picture Okja was backed by Netflix. No stranger to production troubles himself, Bong has been appreciative about the streaming giant, which granted him both the budget and creative freedom he wanted. Normally, this would bode very well for the film itself, but when it turns out to be an uneven picture that doesn’t operate at its full potential, then all that is ultimately on Bong. This entry was posted in Movies on July 5, 2017 by Jun I.